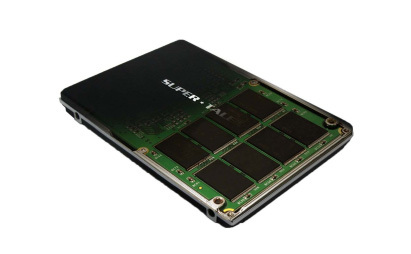 Super Talent Technology, a leading manufacturer of Flash storage solutions and DRAM memory modules, announced it is now shipping new families of PATA/IDE 2.5″ SSDs featuring both MLC and SLC Flash and nearly tripling previous performance specifications. The MasterDrive EX2 is available with capacities from 16GB to 128GB, features sequential read speeds up to 80 MB/s and sequential write speeds up to 40MB/s, and uses MLC flash. It also comes with a 2 year factory warranty. The MasterDrive IX2 is available with capacities from 16GB to 64GB, enables sequential read speeds up to 80 MB/s and sequential write speeds up to 60MB/s, and uses SLC flash. It also comes with a 3 year factory warranty. “Many embedded and ruggedized portable PC customers still need IDE drives, and the MasterDrive EX2 and IX2 series give them the performance they deserve in a rugged and reliable device.” said Jeremy Werner, Sr. Product Marketing Manager Super Talent. Super Talent will showcase these products at the 2009 Computex Taipei show June 2-6, 2009 at Nangang Exhibition Hall 1st Floor, Booth J610.